Update: Mr. Henderson has been located and is safe. 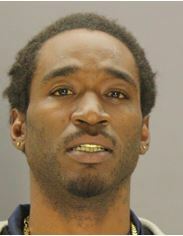 The Dallas Police Department is seeking the public’s assistance in locating Critical Missing Person Edward Henderson. Today, June 18, 2017, Mr. Henderson made statements wanting to harm others and himself. Mr. Henderson is believed to be a danger to himself and others. Mr. Henderson was last seen in the 6200 block of Melody Lane, Dallas Texas approximately three weeks ago. Mr. Henderson is described as a Black male 30 years old with black hair and brown eyes. He is approximately 6’0” and weighs 175 pounds. If you see this Critical Missing Person, please contact 9-1-1 or the Dallas Police Department’s Missing Persons Unit at (214) 671-4268.